As I mentioned this week I do sometimes get into a style rut dress wise and stick to buying skater dresses as I know they suit my shape. It’s great to find other styles that suit me too to make my wardrobe more varied. 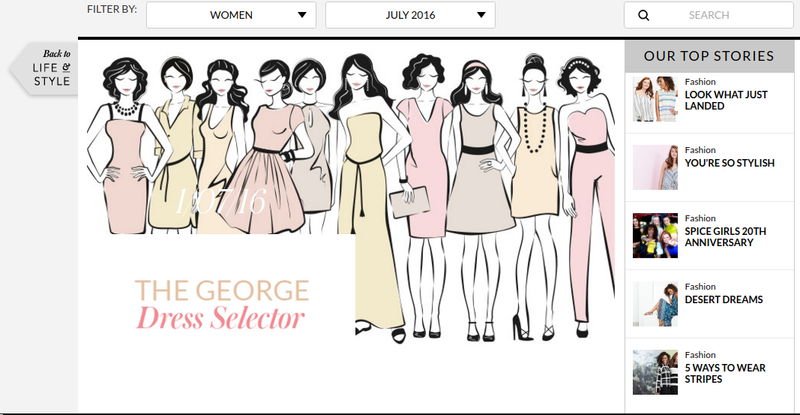 I recently tried out the George Dress Selector and was eager to see what style of dress it would pick for me. 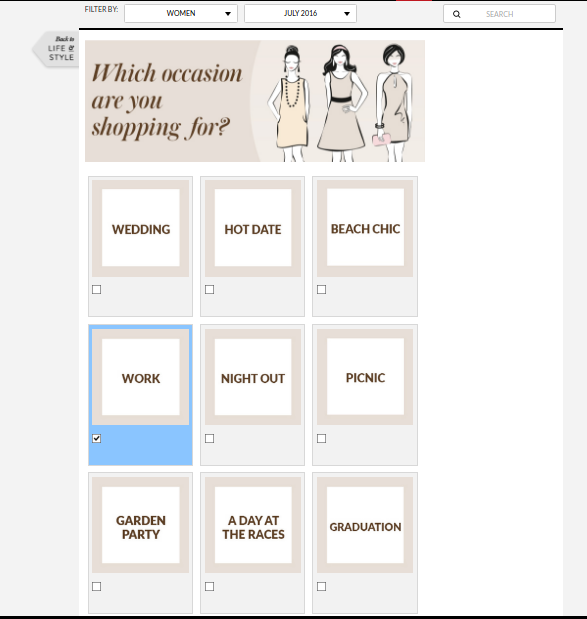 The dress selector is quick to use. I just answered some simple questions about my body shape, favourite part of my body and a part I don’t like to draw attention to (the tops of my arms!). I chose to look for work dresses. I always think of suits and quite formal clothes for work wear whereas now I freelance which means working from home and also at events, my “work wardrobe” is actually quite casual and blends seamlessly in my everyday wardrobe. 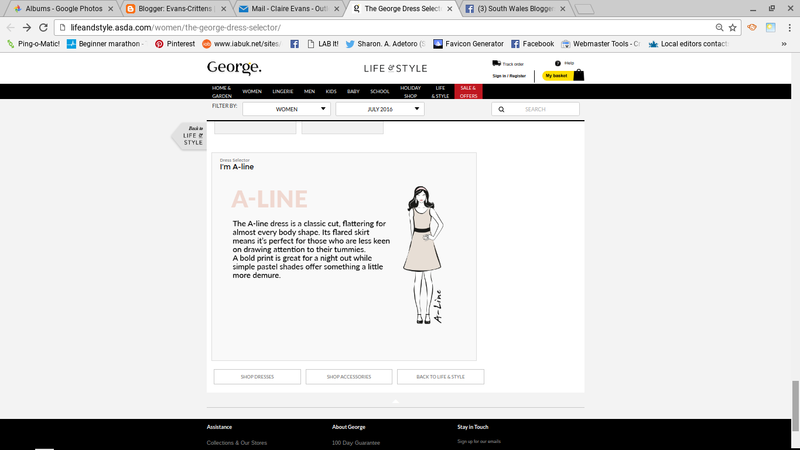 The dress selector chose the “A-Line” style dress as the most flattering for me. I definitely agree with this and always feel best in a flared skirt so off I went to look for dresses. For work and events I chose this gorgeous Floral Tea Dress (with an A-Line skirt) (now sadly out of stock as I would have purchased the black version as well). It’s a gorgeous flattering peachy colour with floral print. It has a shaped, modest neckline, gathered bust and nipped in waist band with tie belt. Then we get to my favourite part of the dress, the flared A-Line skirt. It swishes and swirls as you walk about which I absolutely love! It could be worn with a petticoat to dress it up for weddings and more formal occasions. Even in a natural standing position, the skirt hangs really nicely. Every time I wear it I get compliments and asked where the dress is from so I can see how it sold out so quickly. It’s very generous in the fit so I could have ordered a size down. I’m currently looking out for more A-Line tea dresses being added to the site and I’ll let you know if I find any. 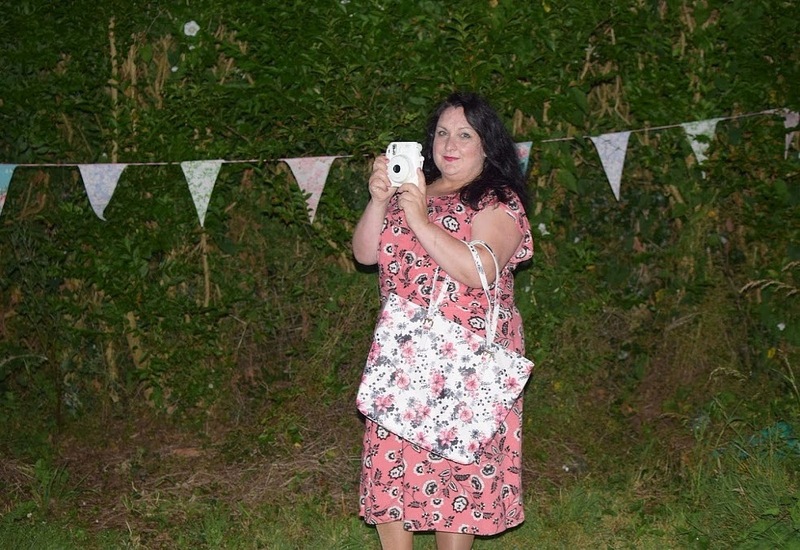 I paired the dress with a Floral Print Tote Bag which looks great and has space for all the work essentials such as notebook, camera and lenses! I also ordered some casual A-Line summer dresses which I’ll share with you soon. 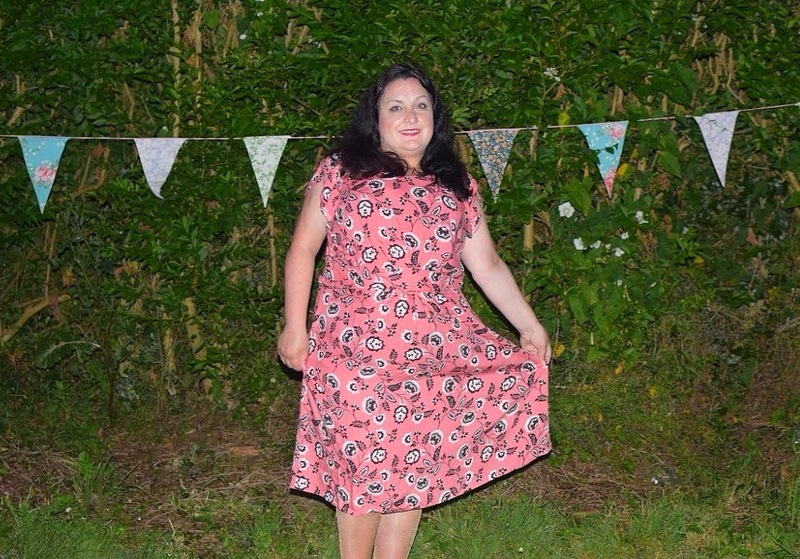 Thanks George at Asda for letting me try out the George Dress Selector to choose some new dresses.